The desert fort and site of the last stand of the Jews against the Romans. Day 3: Jericho, Qumran & Masada- Allenby. Drive past the Good Samaritan Inn to Jericho, the oldest city in the world. Stop at Qumran where the Dead Sea Scrolls were found. Visit Masada, the desert fort and site of the last stand of the Jews against the Romans.. .
Drive to Allenby border for departure. 2 nights’ accommodation includes bed and breakfast sharing twin or triple standard room. 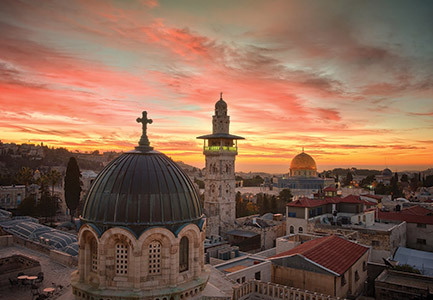 Government Licensed malty speaking tour guide in Holy Land.